“I encourage other Republican candidates to consider doing the same,” he said, “so that the voters can focus on a limited number of candidates, who can offer a positive, conservative alternative to the current front-runner,” an apparent reference to Donald Trump. According to Fox News Channel, Walker’s rivals did not seem to believe that he was dropping out, even some of them seem shocked by the news. “Holy cow,” Senator Ted Cruz said on Fox News. 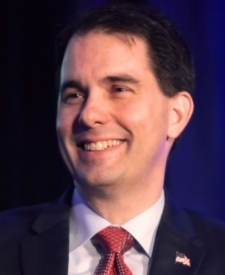 Walker was best known for his union-busting tactics targeting public workers as Governor of Wisconsin. The other Republican candidate who has dropped out of the presidential race is former Texas Governor Rick Perry. Both were polling in single digits in national polls when they announced plans to pull out of the race.